Chances are, you still don’t know how to help your customers by providing them with answers to their questions, or the method you use is not the most efficient. 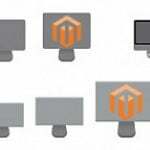 Therefore, pay attention to the following post, since it fully describes the Exto.io Help Desk Magento 2 extension – ultimate support and ticket system. Enrich customer experience and improve the effectiveness of your staff members with full email integration, ticket panel, and 360 degree client view. There are tons of reliable help desk Magento 2 extensions, but the tool by Exto.io has significant benefit – usability. When it comes to the backend appearance, this Magento 2 module shows the highest possible level of admin friendliness. 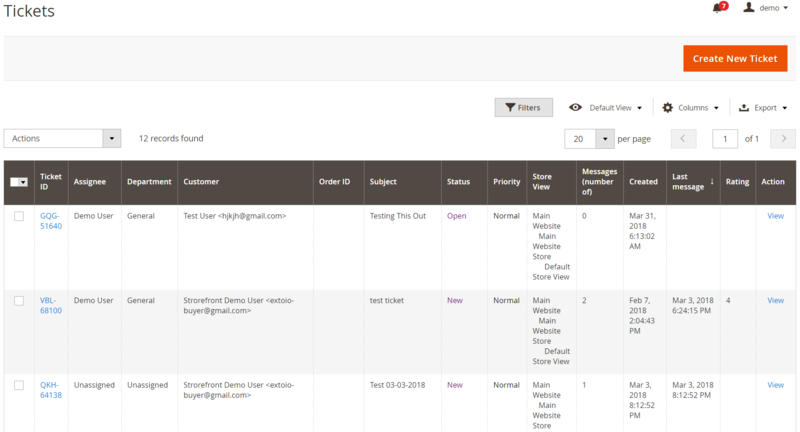 You managers get a clear admin page with all the necessary information about each client in a single ticket. It is even possible to monitor spent store credit and product returns without any need to leave the ticket interface. As a result, your support agents don’t have to waste time on endless data research, fully leveraging it for providing highly qualified services. 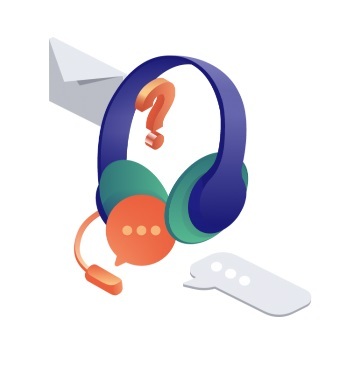 Moreover, a dedicated staff communications channel dramatically improves daily routine connecting managers between each other and with customers. In their turn, customers get comprehensive, real-time access to the service desk on the frontend via mobile devices. Exto.io created a stunning mobile experience with shoppers in mind so that they can reach your support center anytime and anywhere. It is also necessary to mention that the Exto.io Help Desk Magento 2 module easily converts emails and requests created via web forms right into tickets, substantially improving the default routine of support agents. They no longer have to convert each request manually spending lots of time and effort – Exto.io Help Desk is smart enough to perform this task automatically. A complete two-way synchronization runs via IMAP or POP3. As a result, both customers and admins can use their email accounts to communicate, but their messages will be automatically parsed to the corresponding ticket thread. 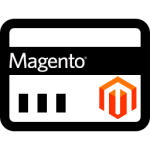 There is also full integration with a native Magento 2 contact form based on the same principle. If you have a huge team of support agents, the Exto.io Help Desk Magento 2 module allows creating departments responsible for specific inquiries. As a result, each type of customer questions gets it own manager or even a whole team of workers. Such approach helps to improve the efficiency of the workflow: customers choose the necessary department on the frontend, and a team with the required knowledge and experience helps to solve the problem. Note that Exto.io supports multiple store views, so you can create different departments to support various languages – a must-have feature for international businesses. But what about guest customers? They also get support. If an unregistered customer creates a query, the system emails tickets and ticket replies to him or her. Besides, it provides a link for further access, and if a client creates an account, all previous queries are linked to it automatically. The same function works for registered customers who don’t want to log into the system. Let’s discover how all these features are implemented on both backend and frontend. We’d like to start our exploration of the Exto.io Help Desk Magento 2 module with several important configuration steps, such as adding a new agent or creating a new department. 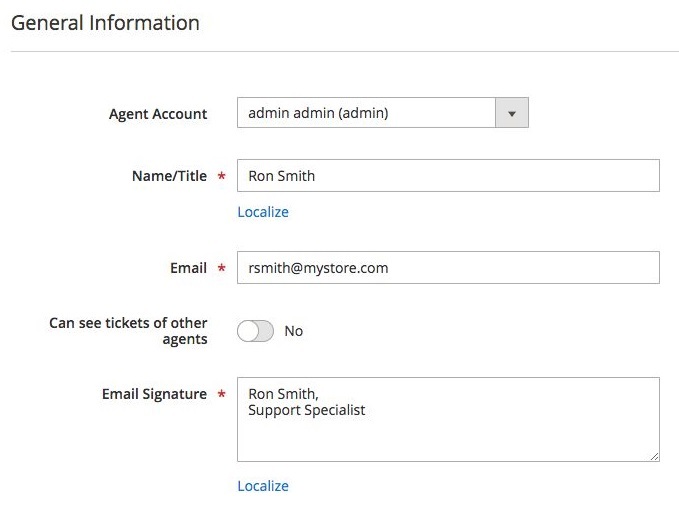 You can add a new ticket agent under Customers -> Exto Help Desk -> Agents. There is a grid with the existing agents (you can easily manage and edit them), but we don’t want to waste time on it. Email Signature – email signature for the agent. Admit that it was easy, but what about a new department? 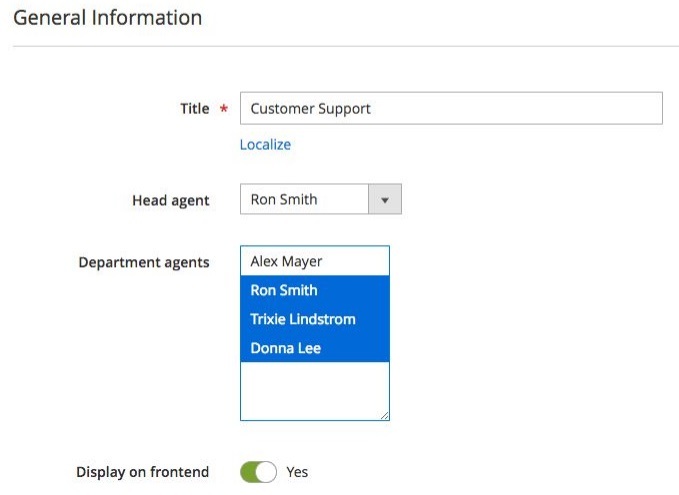 You can add a new department under Customers -> Exto Help Desk -> Departments. Here, you can manage all the existing departments on the grid. Display on Frontend – if Yes, customers can see and select the department. Creating a new department is even easier than creating a new agent. What about email templates? You can manage email templates under Marketing -> Communications -> Email Templates. There is a list of actions with a corresponding email template for each one. When a particular action takes place, a specific template is sent. For instance, New message by agent to customer is designed to inform a customer about a new reply by an agent. 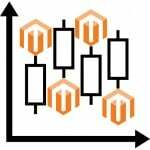 Also, the Exto.io Help Desk Magento 2 extension allows modifying each template using variables. 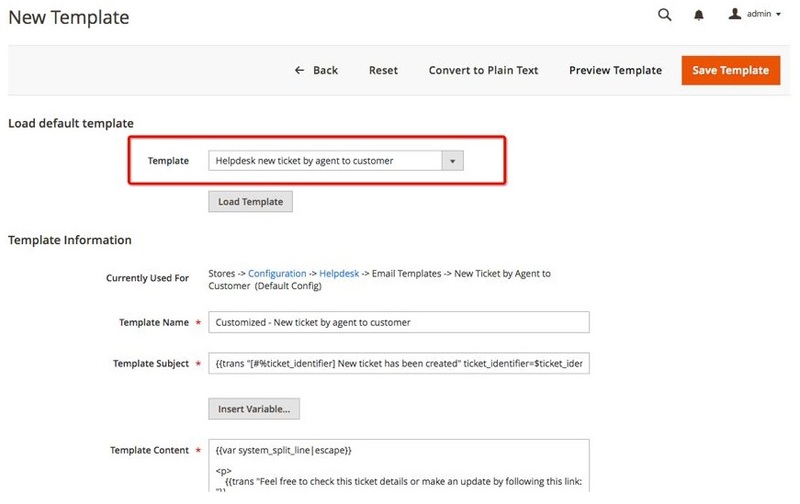 Templates can be assigned to actions under Customers -> Exto Help Desk -> Settings -> Helpdesk -> Email Templates. 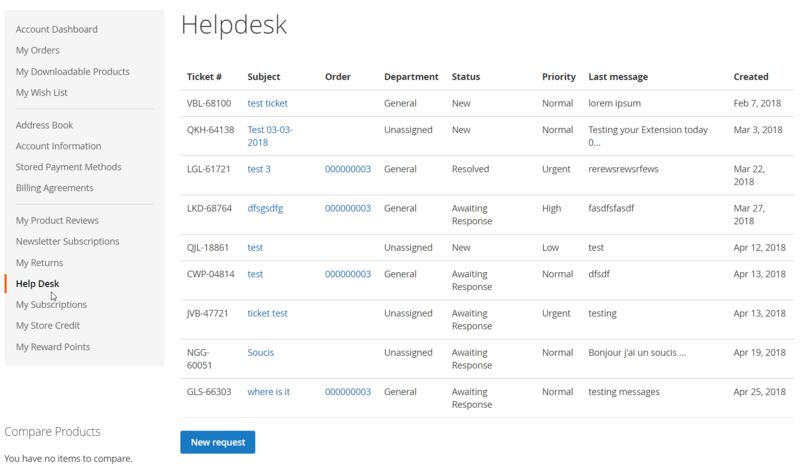 Now, we’d like to draw your attention to core processes related to the help desk routine. As a backend administrator, you can create a new ticket here by clicking the Create New Ticket​ button. It is also possible to view and edit available tickets. 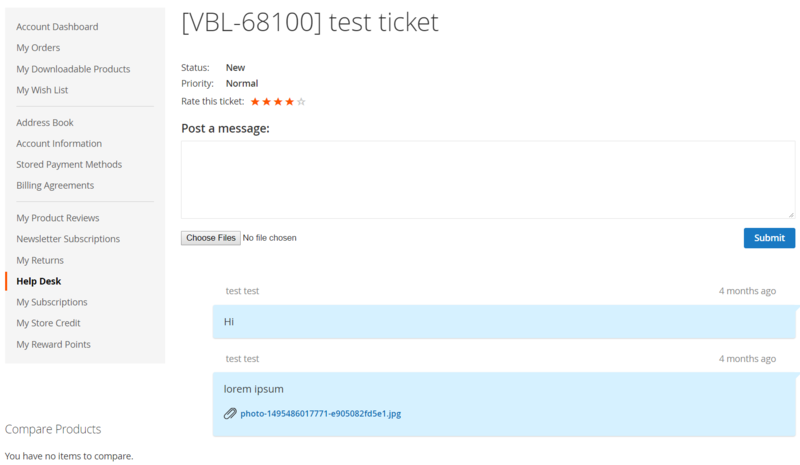 On the image below, you can see the example of the already existing ticket with an internal message informing other admins that a customer didn’t answer. 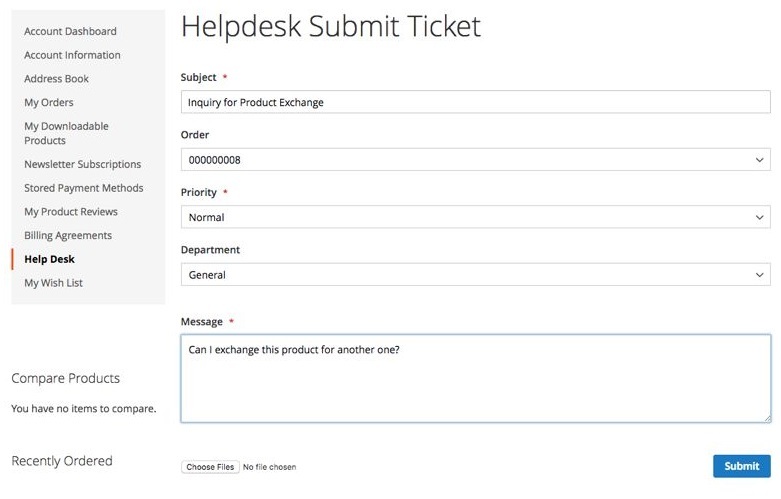 The default customer account gets a new tab called Help Desk. Here, a customer can view all his or her tickets and create a new request. Quite informative and at the same time simple. Also, if a customer doesn’t have an account, he or she gets the following email allowing to view ticket details by following the provided link. 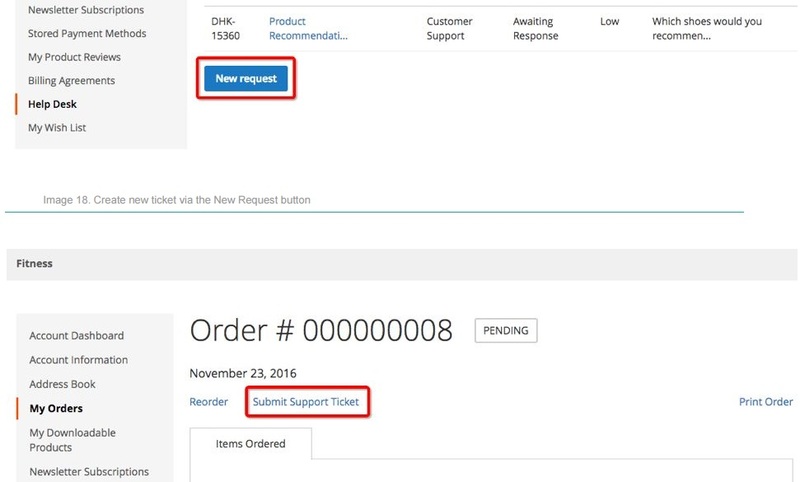 There are two ways to create a new ticket from a customer account: by clicking the New Request button under the Help Desk tab or by clicking the Submit Support Ticket link under My Orders tab on the order page. 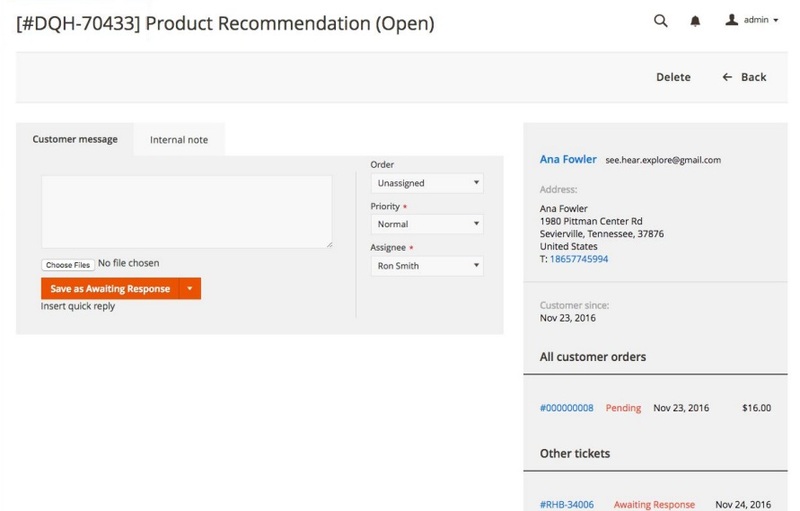 A customer should specify a ticket subject, select an order to which the ticket is related, specify its priority, select a department, and leave a message.